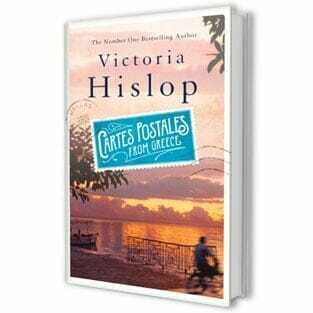 Different as they might be, writers Victoria Hislop and Sofka Zinovieff have at least one thing in common: a love for Greece, which has inspired more than one of their books. Balancing their native British objectivity with an acquired insight of all things Greek, they are ideal to comment on the past and present of their second -adopted- home country. Arranging for a joint interview of two Zinovieff and Victoria Hislop it proved to be a lesson in serendipity. I was reading “The House on Paradise Street”, Zinovieff’s third book -but first novel- in which she follows a story based in Greece between the 1940s and the beginning of the 21st century, when the idea came to me. The way she approached the country’s past and tried to make sense of its present reminded me of Hislop’s third novel “The Thread”, in which she follows her characters from the beginning of the 1920s until today. Having interviewed Hislop a couple of times since 2007, when her debut and already best seller novel “The Island” -about people living in and around a leper colony in Crete- was published in Greek, I thought of asking her if she knew Zinovieff and if she would agree to a joint feature with her, before addressing their respective publishing houses. It was almost midnight when I e-mailed her, yet it only took her a couple of minutes to answer. She sent me a brief message, its subject “Look who I am with!”: it was a photo of her with Zinovieff, taken “5 minutes ago in Turkey!” As it turned out, they were there for Kaya Cultural Connections, an annual festival initiated after the British author Louis de Bernières wrote “Birds Without Wings”, about the people who were forced to leave the Greek Orthodox town of Kayaköy in the 1920s, because of the population exchange. And I was right to think that the two women had a couple of things in common. “I think probably what we’ve got in common is a huge interest in and love for Greece and an interest in the history, and we’ve sought to make stories out of that”, says Zinovieff when the three of us finally meet. “It’s quite a lot to have in common and both be British and a similar sort of age”. Surprisingly, Hislop says it was on her first visit to Athens that she fell in love with the country: “It was pre-metro. I actually don’t recall that there were any street signs or signs in English much; I just remember seeing these Greek letters and realizing that I couldn’t even pronounce anything, so it was very foreign and very dusty, and I didn’t know whether I was going East, West, North or South. But I liked the chaos, because it’s the opposite of Britishness, really. For me, Greece is the opposite of England in so many ways and that’s what I enjoy”. Zinovieff got to know Greece in a different way: “I first visited as a teenager and then came to live in Greece as a student, doing research for a social anthropology PhD. I lived in Nafplio, in the Peloponnese, learned Greek and became a fervent philhellene! It was very exciting moving back to Greece in 2001 with my Greek husband and our two young daughters”. It was after this move that she wrote her first, non-fiction book, “Eurydice Street: A Place in Athens,” an account of her first year as an Athenian. Hislop, the owner of a house in Crete, admits to being a bit spoilt because of her celebrity status in Greece (“Sometimes I don’t have to use my passport! It’s illegal but it happens and I’m always really chuffed when they don’t want to see it), but has no illusions:“I am through the honeymoon period now, and I am very aware of the faults of Greece. I don’t think there are many things that would shock me anymore, from tax evasion, to people checking into their job and falling asleep, then checking out and getting paid. I know it’s full of flaws, but I still like it, which is what you’re meant to do after your honeymoon, isn’t it?” Having acquired Greek citizenship, Zinovieff lives with her family in the south of Athens and finds one thing the most annoying of all: “It’s the insistence on the idea of personal freedom, but which is often at the expense of other people. And I think that goes quite deep into the Greek psyche, that individual freedom seems to be this very important thing: freedom to drive when you’re drunk, to park on the pavements, to do these sort of things which are freedom for the individual, but they cost something for everybody else around”. Their looking into history for the sake of writing has given both writers insight into the country’s situation, past and present. “It made me understand Greece”, says Hislop. “People are what they are now because of what has happened in the 20th century, from the population exchange and on. Before knowing that, I couldn’t understand why Athens was so sprawling and why there were areas with names such as Nea Smyrni. And the sheer humanitarian crisis of it! People starved, and then starved again in the occupation and then starved again during the civil war in some areas, didn’t they? There has been a massive amount of real suffering! That has never happened in Britain. We’ve had bombing and rationing, there was privation, but not on such scale; I don’t think anyone actually died from starvation”. Zinovieff agrees: “The terrible years of the 20th century dealt a series of appalling blows to Greeks. The Civil War was perhaps the worst of all because families were divided, brother killed brother in battles, women were executed for being communists and communities were torn apart in ways that have still not been completely healed. I believe that after all the traumas, there came a period where Greeks felt they had finally made it into a safe time of democracy and membership of the EU. This coincided with easy loans, EU subsidies, a general lenience over deficits, and the sense that everything would only get better. Many people got rich, and that was great, but we can now see that the foundations were far too shaky to support such rapid progress and everything has collapsed”. If they were given the power to change things, they would have the same top priority: education. “Obviously, trying to change a lot of structures, so that there was transparency and no corruption would be a very good start”, says Zinovieff.“But I think that the young of Greece are its greatest hope and if we don’t give them the very best education possible, nothing will be able to change for the better. Having sent my daughters to the local primary school, I have had some first-hand experience of the system. I would take money away from defense spending and put it straight into improving all levels of state education. I do think that’s fundamental for Greece to do well”. They also concede on the importance of tourism, which brings us to their favorite destinations, apart from the obviously attractive islands like Spetses.“I love the Peloponnese, you couldn’t not, could you?” wonders Hislop.“Me too”, says Zinovieff.“And middle Greece, I have to stuck up my hand for that! I think that mountain Greece has been largely ignored by tourists and remains an astonishing aspect of Greece’s landscape. I love walking along the old stone pathways that connect the villages, where you get a completely different perspective on the country”.